What could be better than a french door for the kid's play area? 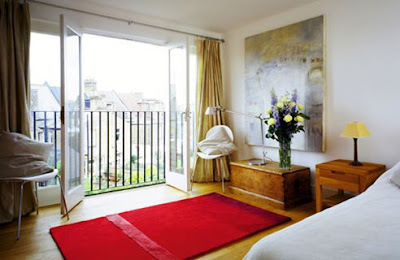 You can open up more space, let in more natural light and keep an eye on the kids without physically being in the room. Good thing Feather River Door's Patio Doors are starting at only $849. You can utilize the room you have in your house or modify an un-utilized toolshed to give a kid their dream playhouse. Easily transform an ordinary room with Feather River Door's Interior Doors. Do you want to turn a plain closet next to your kitchen into something special? Replace it's plain door with our Harvest door or Vineyard door. How about the den you use for a home office? Make it official with our Office door. Add our Reeded door to upgrade your master bathroom. Not only do you get great designs, Feather River Door's Prime-Advantage Interior doors are engineered with dent-resistant MDF veneers. For your safety, our glasses are safety tempered. Great features and many design options. All for only $199. Do you have a budget to work with when it comes to home improvement? If you want to save time and stay within your budget when buying a new door, you got to give Price Solution a try. Choose the price range you want to work with. It will narrow down your choices according to your needs and save you from having to do the guesswork. 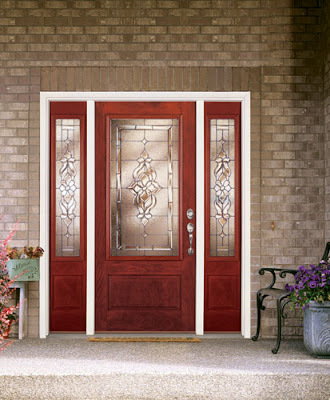 Simply, choose the door and glass design you like with your price range. Print out the worksheet and bring it to your Home Depot associate. Its easy as 1-2-3. Check it out today. Color definitely makes a statement when it comes to your front door. Feather River Door's Pre-Painted program now makes it easier than ever to do just that. 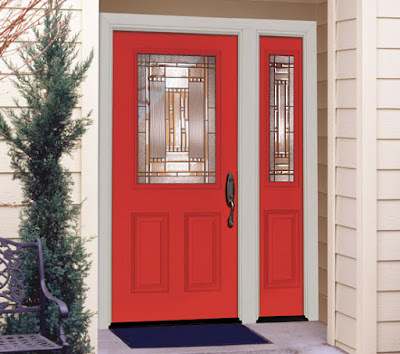 Choose from 12 rich colors and our wide selection of glass designs to personalize your front door to create a truly unique entryway. Available in Cherry and Chocolate Finishes, Feather River Door's Mahogany Exterior Doors will add warmth and appeal to any entryway. Have you met our General? 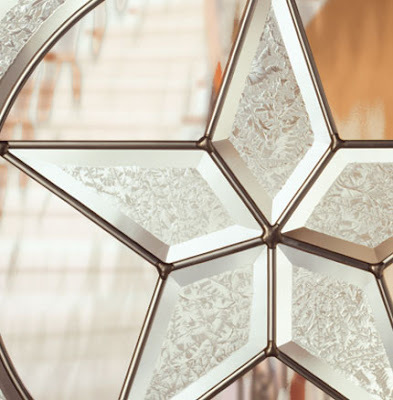 Up close, the General almost reminds you of snowflakes in the winter night in it's detailed beauty, yet when viewed from a far, it exudes toughness and confidence. It is a fine combination that will suit any household. 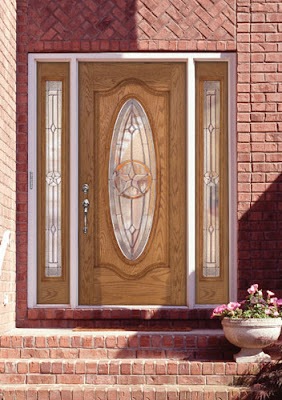 The General Center Arch Door with Full Lite Sidelites in Chocolate Mahogany DoorWhen showcased in a rich Mahogany woodgrain door, it makes for a classy and elegant introduction to your home. Big thanks to Pat in Illinois for sharing a photo of your new Feather River Door with us. The Lakewood 3/4 Lite Double Door and sidelites in Light Oak looks absolutely amazing. We hope you enjoy your new doors, Pat! 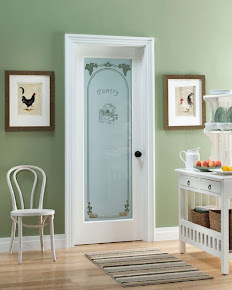 *Do you love your Feather River Door? Share your photos with us by emailing blog@featherriverdoor.com and be featured on our blog! 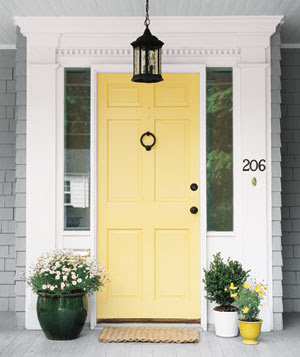 Colorful front door is an easy way to make over your entryway. Choose from 12 fun colors to accent your home. It is environmentally safe and easy. 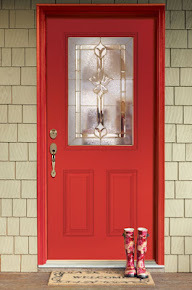 Feather River Door's Pre-Painted Door program is now available in select cities! Go to our website to find out when it is available in your area. What would be better than opening up your walls to let in the cool breeze when the temperature lingers around nineties to triple digits as of late? 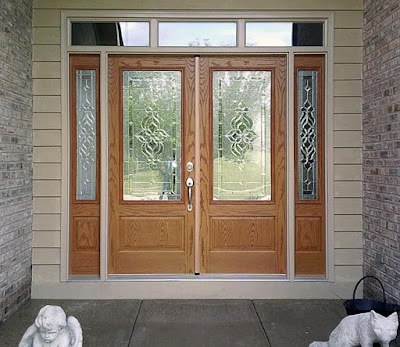 Extreme heat is upon us and just as we need protection (sunblock) from the direct sun, our exterior doors need them as well to stay beautiful. Remember to apply a coat of protective polyurethane with UV inhibitors to protect the finishes on your Feather River exterior doors to keep them looking good throughout the years. Happy Fourth of July! Enjoy the fireworks! !